Please be sure to consult the SIZE CHART before ordering. A classic, lightweight & stylish semi-fitted unisex t-shirt made from soft ring-spun cotton that's flattering & comfortable for both men & women. A great gift idea or souvenir memento of your favorite vacation spot... or just boldly represent your proud hometown roots in style! These t-shirts are true to size, but as with most cotton-based garments, they will shrink if dried. 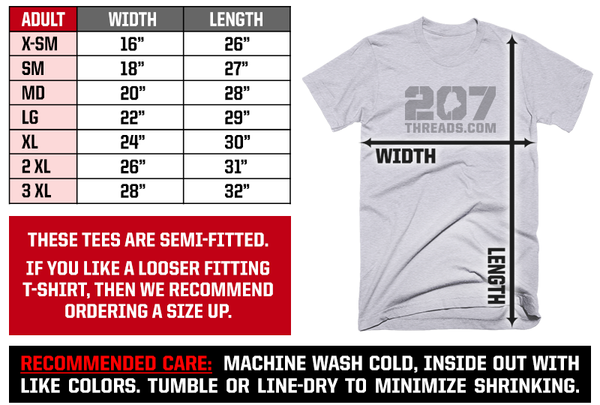 If you’re in-between sizes, or prefer a looser fitting tee, then you should order a size larger than you normally would. Order a size up if you like a looser fit! Friendship, Maine USA Flag American Patriotic 4th of July Hoodie. Stars & Stripes, 4th of July, Patriots Day, Independence Day, Red White & Blue, 1776.